Limblifter had Gold-selling success in the 1990s (later helping to spawn The New Pornographers). Now the Vancouver band is reissuing their debut self-titled album on vinyl for the very first time. The release will come out on July 10th on We Are Busybodies. Reminisce with the MP3 for "Cellophane". 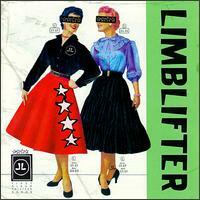 Limblifter play the El Mocambo in Toronto on June 16th as part of NXNE.